The AX7 ClearClock™ XO for next generation networking and RF applications leads the industry in low power consumption while maintaining typical jitter of 119fs ideal for clocking serial data links beyond 56Gbps. 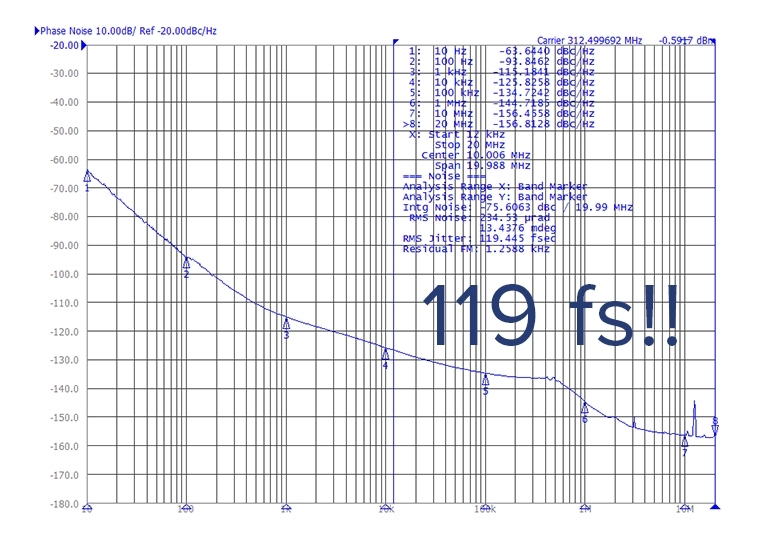 The series features the widest factory configurable frequency range from 50MHz to 2.1GHz for this performance class. Other factory configurable options include supply voltage of 3.3V, 2.5V, or 1.8V, -20°C to +70°C or -40°C to +85°C operating temperature range with either ±50ppm or ±100ppm all inclusive frequency stability over 10 year product life. 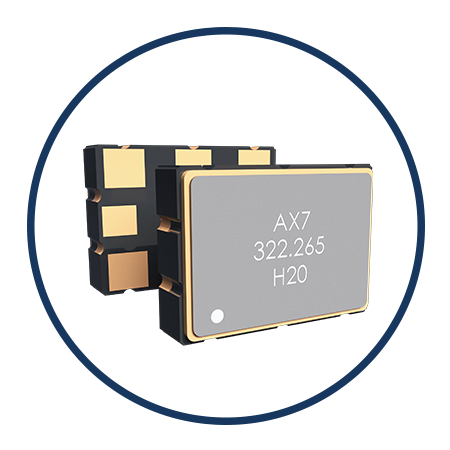 The AX7 series is optimized for superior rms jitter performance (119fs typ), while consuming 129mW in industry standard 5x7mm package.